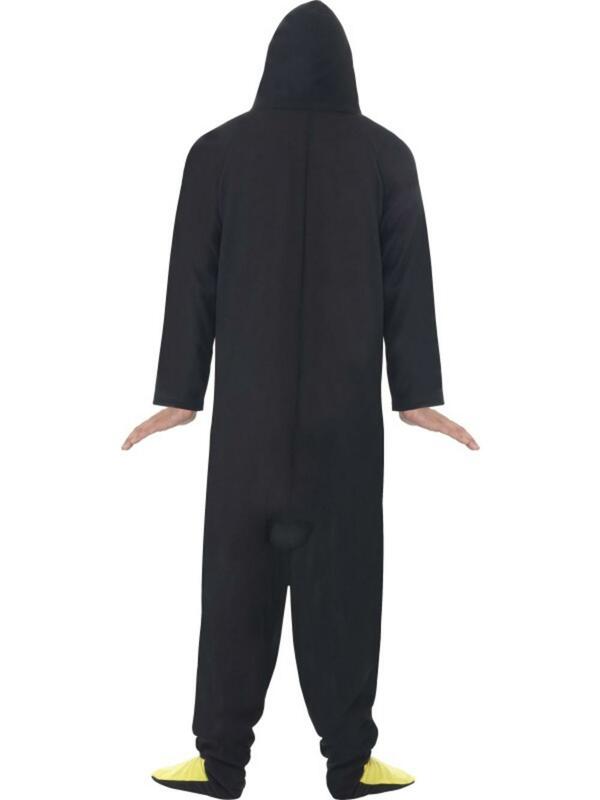 Size Choose Size Large 42-44"Medium 38-40"Small 34-36"XL 46-48"
If you are looking for the perfect animal costume this winter season then an Adult's Penguin Costume could be just what you are looking for. 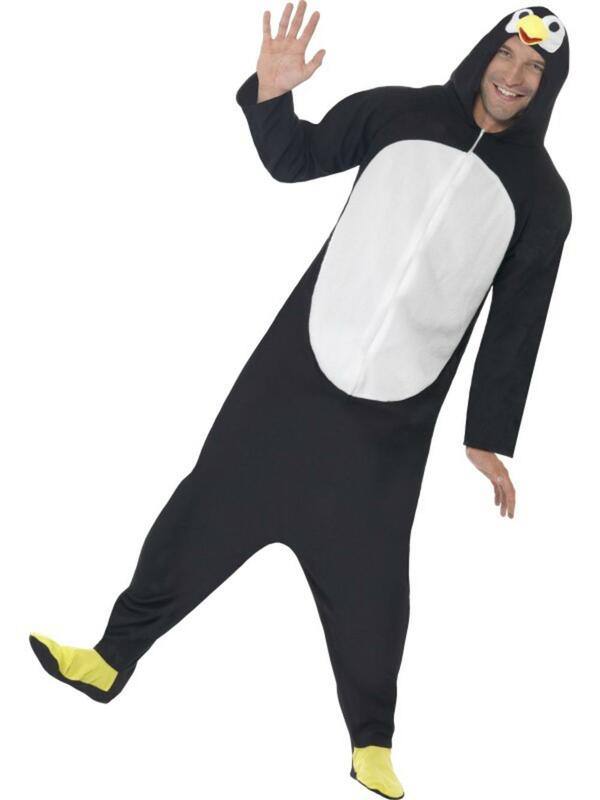 The penguin costume includes a black and white jumpsuit with attached yellow foot covers and hood with penguin face. The all in one jumpsuit is easy to wear with a zip up front and is made from soft material. Great for any charity fun run fancy dress events, a Christmas party or to wear at an animal themed fancy dress event.